Tailored to suit your expectations and abilities. 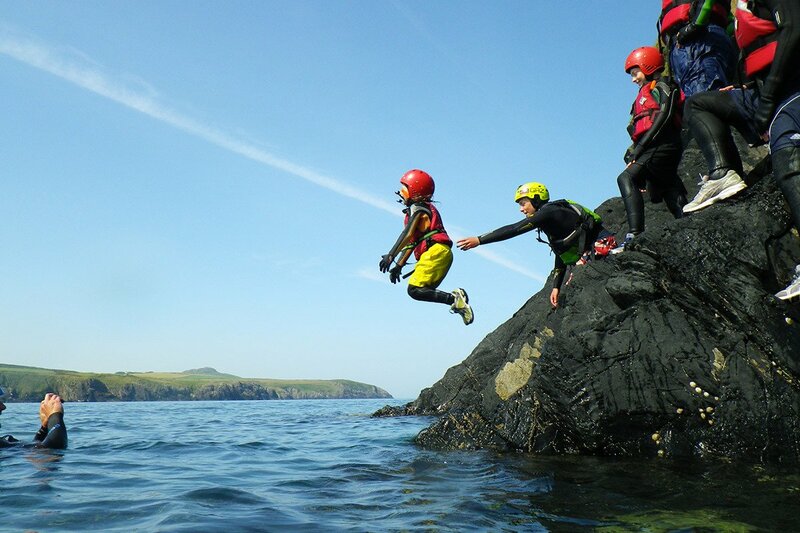 Your Coasteering Guide will lead you on an unforgettable adventure along the Pembrokeshire coast. 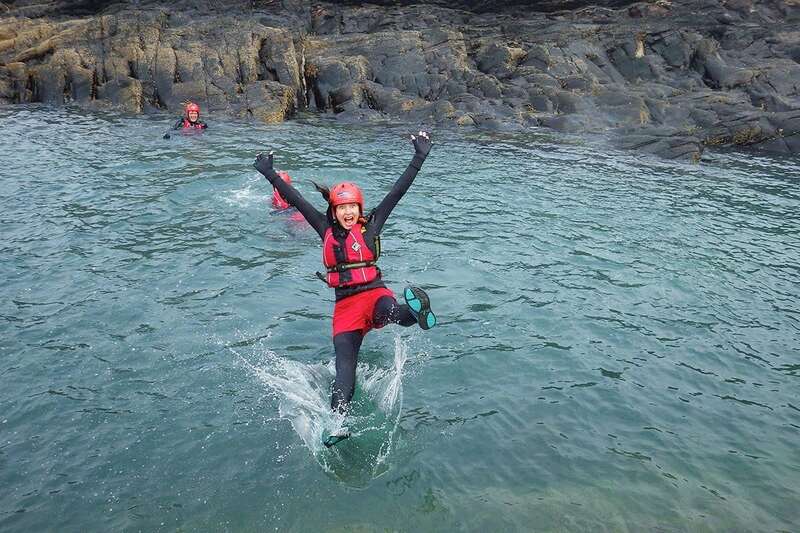 Second to safety, the top ingredient in all our activities is FUN! 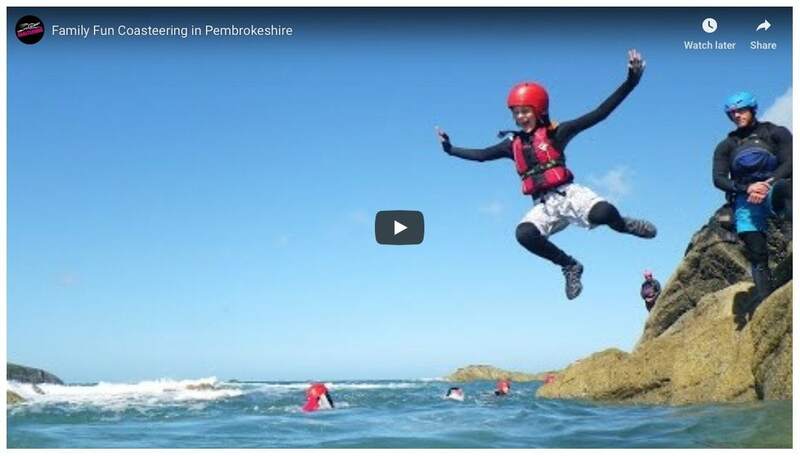 Your family day out could include exploring caves at low tide, scramble climbing & traversing your way along the North Pembrokeshire rocky shore, cliff jumping from zero to 35ft (all jumps are optional), go with the flow playing in water features including ‘the toilet flush’ and ‘washing machine’. 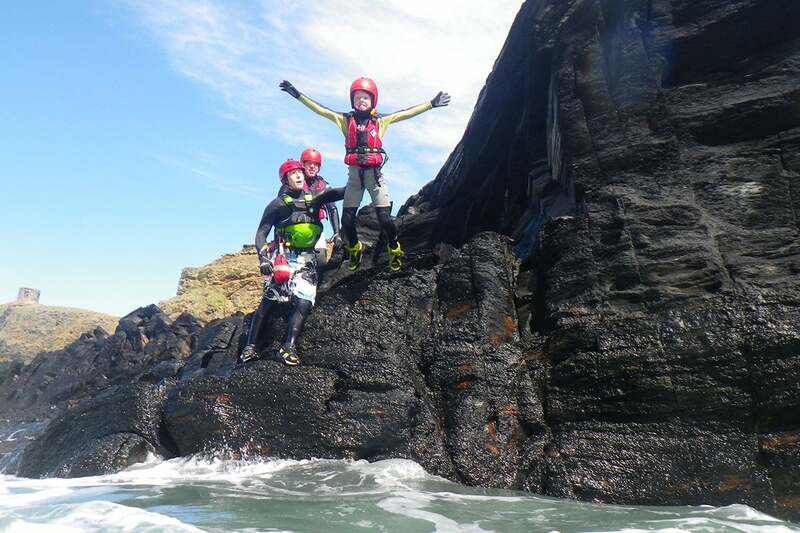 Family Coasteering in Pembrokeshire, probably the most fun you can have in a wetsuit! 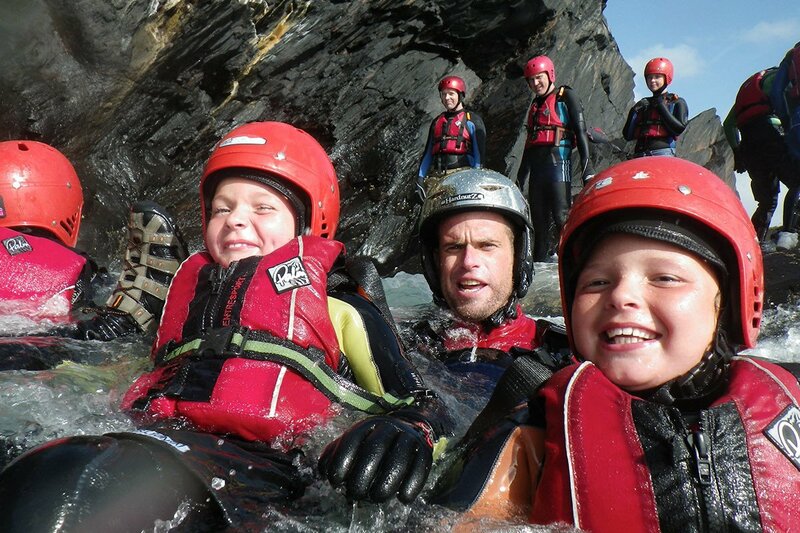 A fun family day out in Wales, whatever the weather, you're going to get wet! Stunt Jumps - it's just falling, with style! Minimum age is just 8 years! 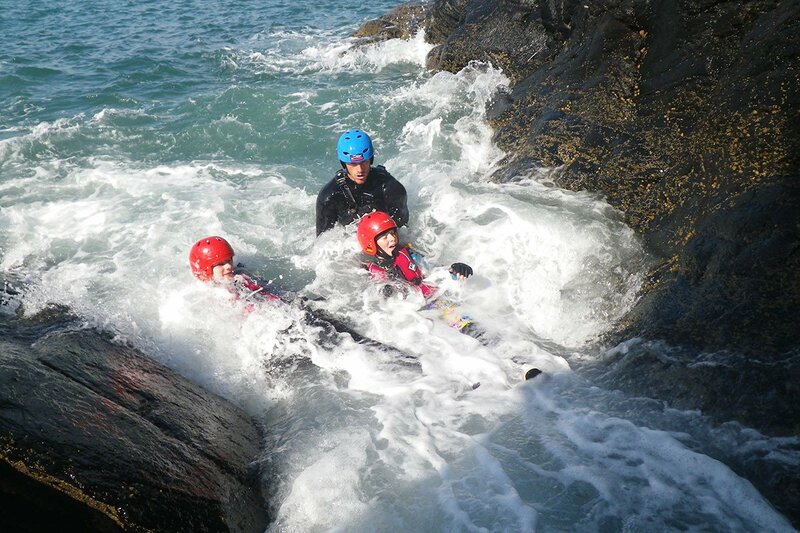 One of our favourite water features in Pembrokeshire, when the waves are rolling in hold on to your hats! 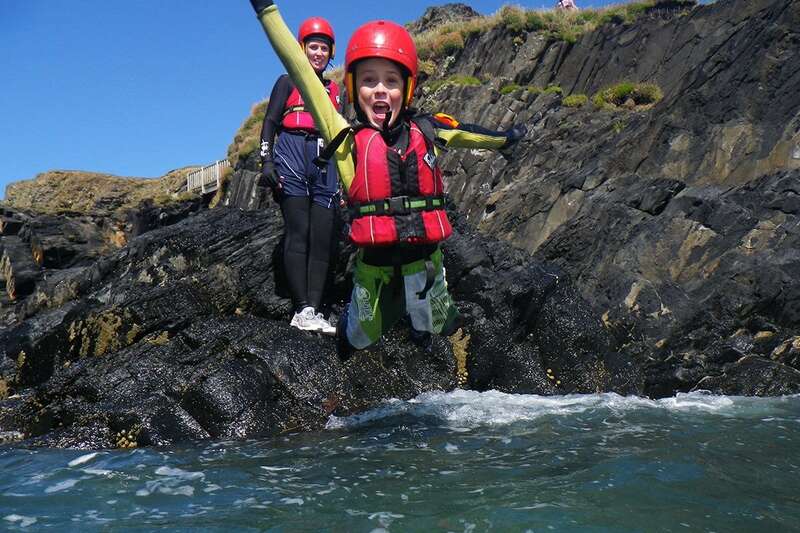 Fun is not just for the kids - mum and dad will have a Wales of a time too! 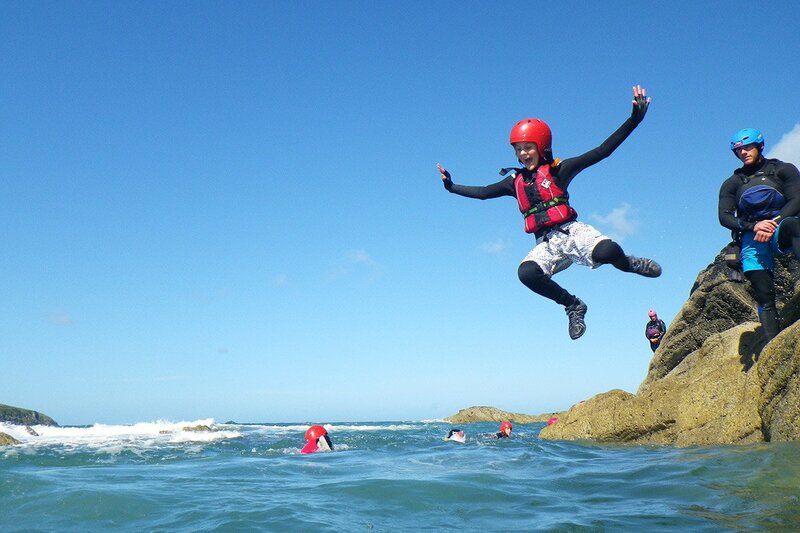 Don't just send the children, join in the fun, jumping, floating, laughing & sometimes screaming! 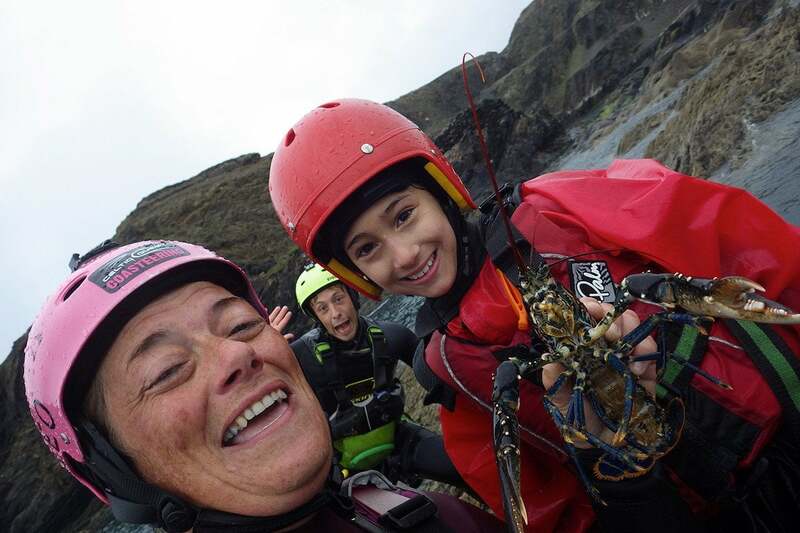 Release your inner child - parents, mums and dads enjoy the adventure activity too! 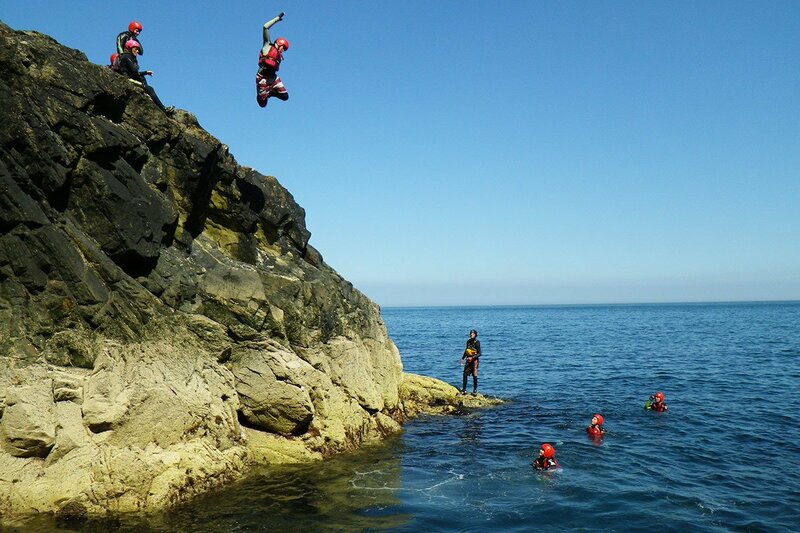 We can not recommend coasteering with Celtic Quest more. Starting with the Cleo and Alex who were so much fun, made everyone feel really safe so that the only thing we needed to focus on was having a good time. We were a group with a variety of abilities and ages and yet nobody felt they were being pushed to do things they didn’t want to and nobody felt that they were being held back. 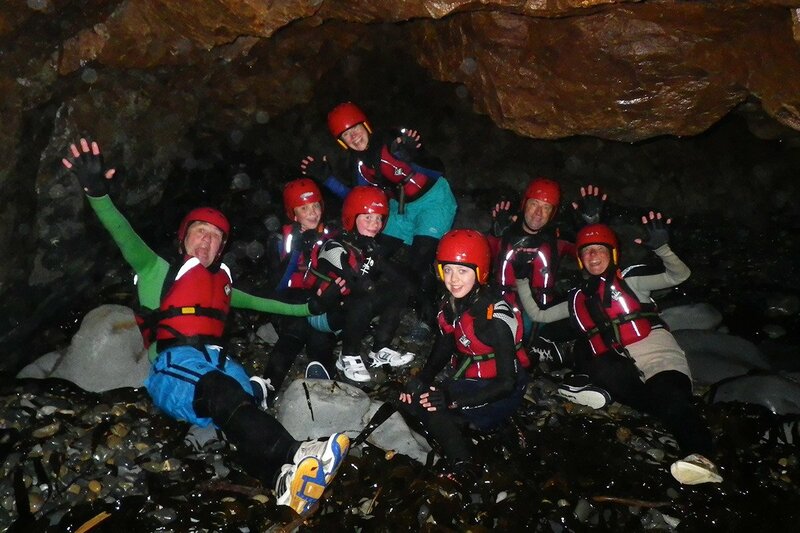 We had an amazing time and we totally recommend Celtic Quest to anyone who wants a great family activity. Thank you to Cleo and Alex for making it such a fantastic experience. 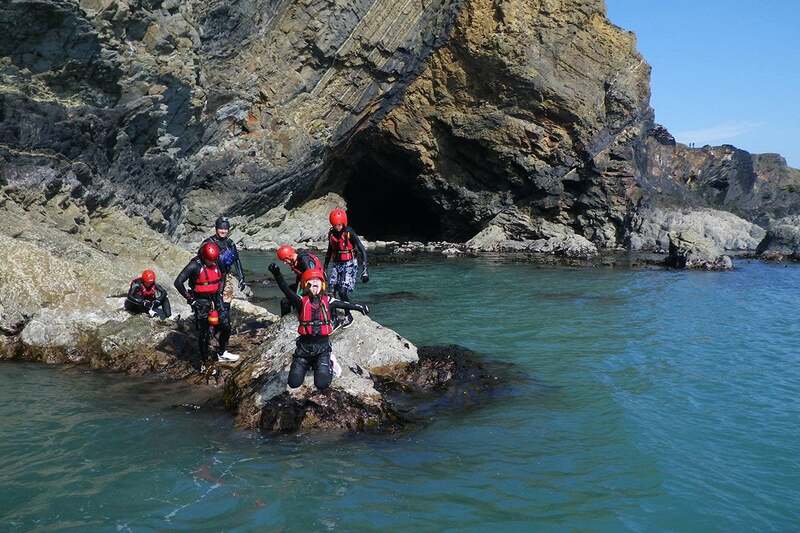 "Best coasteering we've ever done in fab locations and brilliant guides"
The location of this coasteering is perfect. We were a group of adults and kids and there was something for everyone. 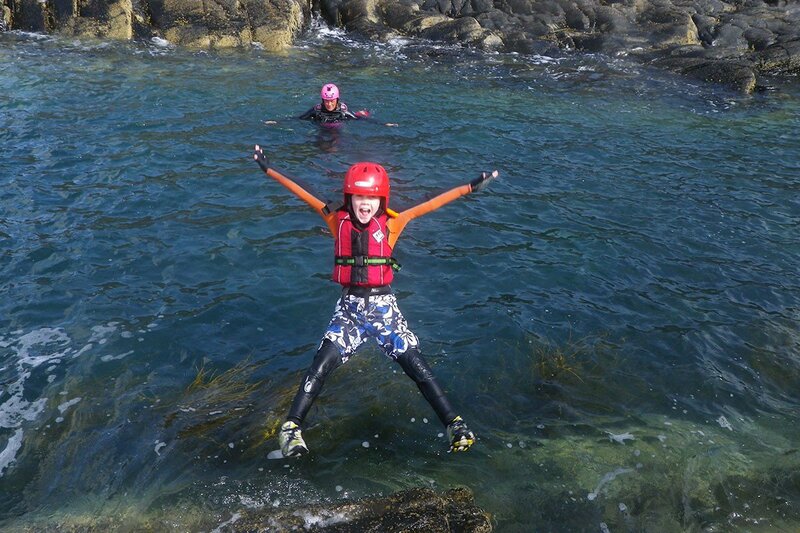 We did lots of different jumps, there was hardly anytime waiting around. The location is not dependent on tides. 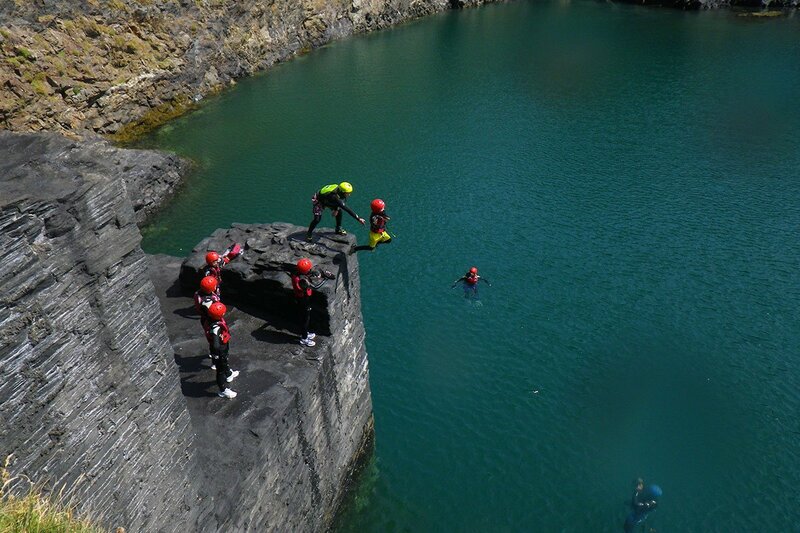 And you work your way round to a disused quarry. 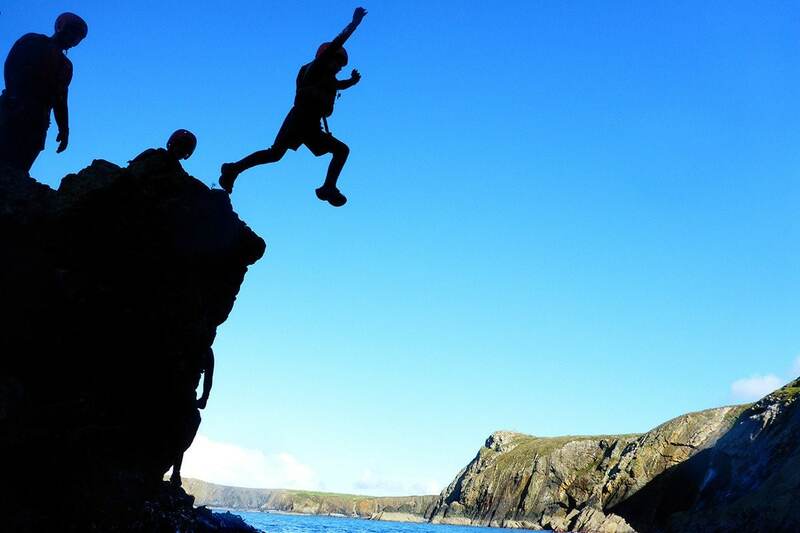 You start off with a small jump and progress bigger and bigger. All the time you are given excellent tuition and you know they are keeping you all super safe but without losing any of the fun. All equipment provided was excellent. Finally purchase the memory stick and it's brought a lot of joy to our family to look back at the memories. From start to finish, this was a thrill ride run professionally. 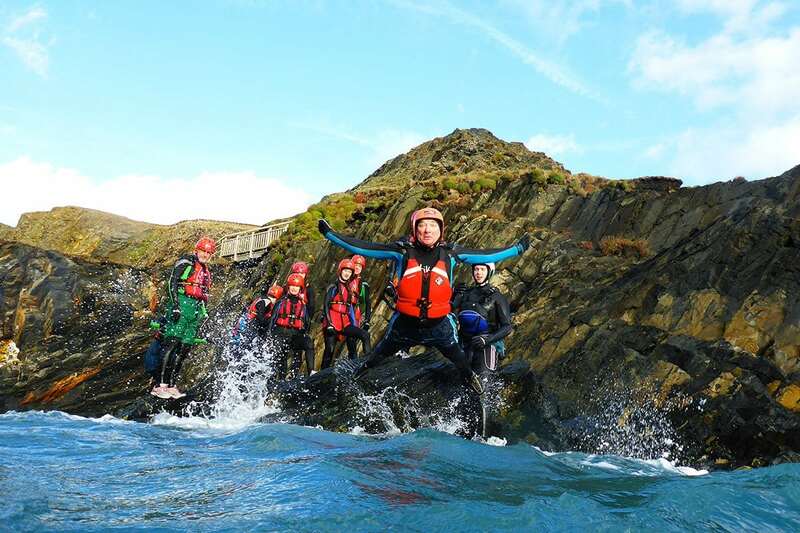 From getting kitted out on the beech to drying off at the end, care and attention was taken to ensure the whole group enjoyed themselves to the best of their abilities, taking attention of everyone's skill levels to ensure no one missed out on this exilerating experience.